The art and science of media monitoring has been around in one shape or another for more than a century. While it may have been a nice competitive advantage when practitioners were cutting and pasting newspaper clippings, today it’s a requirement for public relations agencies and in-house PR departments to employ sophisticated media monitoring tools and refine strategies based on the results provided. Media monitoring is all about listening carefully to the conversation about your company as well as your business, collecting industry intelligence and gauging the overall mood. Are you and your products being talked about a lot? What are people saying? Are they saying what you hope they’d say about your brand? Is your marketing in sync with their sentiments? What can you learn from what they are saying? Can you tweak a strategy based on what you’re hearing? Is there a problem or a crisis that needs to be addressed swiftly and thoroughly based on the chatter? Look for opportunities. What tool will you select to do your monitoring? 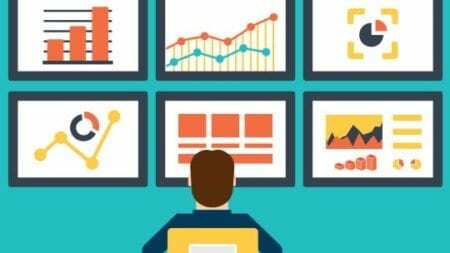 While some companies employ in-house staffs to manage the media monitoring function, outside online monitoring services have become the more favorable approach, depending of course on company size and budget. But the bottom line is determining a program’s ROI based on acquired market intelligence and the number of placements registered by the PR operation. Online services generally are thought to be more comprehensive, accurate, and timely in delivery of information. There are a variety of free online monitoring tools (as simple as Google Alerts) as well as fee-based subscription options, ranging all the way to premium ones that do the analysis for you. Be sure to read reviews from reliable sources on the vendors you are considering. Determine what you want to monitor. This seems like a simple enough task, but the more you think about it, the more complicated it gets. What types of articles do you want to monitor and over what time period? In news monitoring, you must choose whether you are monitoring coverage in all forms of media: online, social, print and broadcast. What subjects will you be monitoring? Here’s a good place to start: your company name, all your brands and key executives. Monitor all possible derivatives of your company name, for example Jones & Jones as well as Jones and Jones. Next add specific keywords and terms, even competitors, relevant to your brand and/or your business. Also, see if specific keywords are being mentioned in conversations about your company and add them along the way if you don’t already have them. React to what you hear. Media monitoring is not about patting yourselves on the back for jobs well done—it’s about learning from your monitoring activity and responding to it. It’s also a great way to engage your audience and build a community. Depending upon the size of your organization and the volume of coverage, a noble goal would be to respond to every person who has mentioned you and has something to say about your company, good or bad. You can convert good responders into potential market influencers, or ambassadors on your behalf; you can establish dialogue with the neutral responders to further your learning about market perceptions and alter product and marketing strategies; or kick into crisis management if there is a viral outbreak of bad publicity and perception about your company.